Congratulations! You've quit using tobacco – one of the most difficult things you will ever do in your life. Now it's time to make sure all your hard work continues to pay off. You may be tempted to use tobacco in certain situations, so we have tools to help you handle them when they pop up. Gaining weight is common when you quit tobacco, but don’t let a few pounds stop you from making a healthy change in your life! Try stress reduction tools to help you focus on staying quit. If you slip up and use tobacco once or twice after a quit, don’t throw in the towel – you can still quit, and stay quit. Slips are normal. Check out ways to boost your morale again so that you can get back on track and stay quit for good. Are Triggers Killing Your Vibe? Take steps to beat triggers like a pro! To help you keep weight gain to a minimum when you quit tobacco, try some of these tips. Check out additional strategies on how to stay quit while you’re deployed. Find a way to get through these short periods when the urge for tobacco hits. It is normal to crave tobacco when you quit, and the cravings can be strong, but remembering why you quit can help you stay focused. Does your family usually bond over having a smoke? Learn tips on how to create new traditions so that you can stay tobacco free. YouCanQuit2, a U.S. Department of Defense program, is an educational campaign for the U.S. military. Originally launched in February of 2007, the mission of the campaign website is to help U.S. Service members quit tobacco—for themselves and their loved ones. The appearance of external hyperlinks does not constitute endorsement by the United States Department of Defense (DoD) of the linked web sites, or the information, products or services contained therein. For other than authorized activities such as military exchanges and Morale, Welfare and Recreation (MWR) sites, the DoD does not exercise any editorial control over the information you may find at these locations. 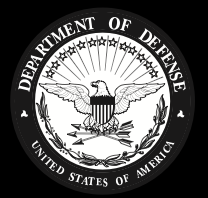 The links provided in this website are consistent with the purpose and mission of this DoD website.